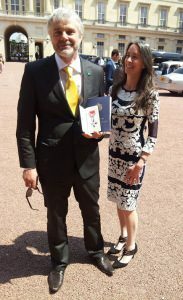 Last Thursday, our founder received his MBE from HRH Prince Charles, in recognition of his work in Fairtrade Gold and with gold mining communities in South America and Africa. Congratulations, Greg Valerio MBE! 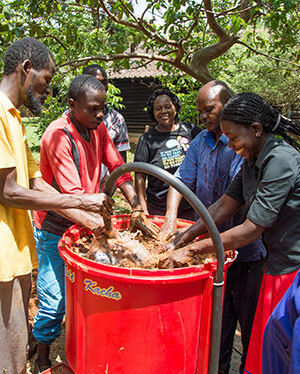 However, the story doesn’t end here, as we continue to work with Greg and other partners in the Artisanal and Small-Scale Mining (ASM) Sector, to make the artisan miner’s dream of providing ecological gold a reality. Well done Greg, your enthusiasm, determination and hard work are well noted. Your ultimate aim is to the betterment of communities in gold and we congratulate you with your “leap of faith” in achieving such. The team at APT send hearty congratulations. Kevin Hamilton-Woods and team APT Groundbreaker Division..